Living a Fit and Full Life: Go on an Adventure with Alisa Knows What to Do Season 1 from NCircle! + Giveaway! 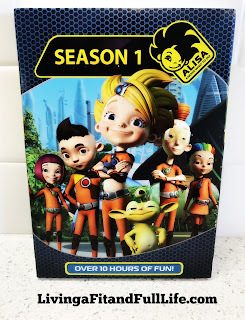 Go on an Adventure with Alisa Knows What to Do Season 1 from NCircle! + Giveaway! Alisa Knows What to Do! is based on the extremely popular Russian science-fiction novels by famous Russian author Kir Bulychiov about a young girl from the future, Alisa Salazar. This animated series weaves a tale about the adventures of a group of teenagers living at the end of the 21st century. The world has changed yet the burning questions that occupied people at the beginning of the century are still pertinent today. Alisa and her friends not only battle evil and injustice but they are also concerned with global problems like the natural balance, both on the planet and in space. Go on an adventure with Alisa Knows What to Do Season 1 from NCircle! Alisa Knows What to Do Season 1 from NCircle is a super fun and entertaining DVD. Living in Arizona we don't spend too much time outdoors once it heats up so I'm always on the lookout for fun DVDs my kids can watch after spending a few hot minutes outside. 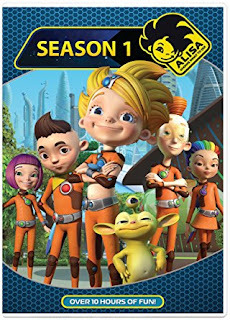 My kids love that this DVD is based in the future and about teens tackling global problems both on earth and in space. Alisa Knows What to Do Season 1 from NCircle is the perfect adventure for kids this summer!